The site is in the middle of Needham Market High Street. When we bought the site it was occupied by a factory that produced Elmlea Cream. We had to demolish the factory buildings, remove buried tanks and brick wells, and treat contaminated soil to make the site safe before we started to build. The Norwich to London railway line runs past the site and we carried out all work with great care not to cause any disruption to train services. 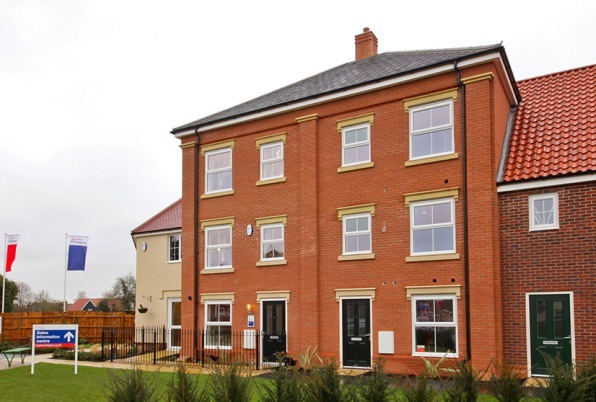 We opened the gardens of our show homes and made land available on the site for the ‘Needham in Bloom’ flower show. Our company directors walked 30km from a primary school on our development in Bury St Edmunds to Needham Market. We raised £1,800 to build a school in Africa and donated £1,000 each to a school in Needham Market and another in Bury St Edmunds. We have installed a stone obelisk in the town square to record the archaeological finds on the site. There are also plans to install plaques showing the history of the site, with the opportunity to perhaps create a time capsule to be placed in the base of the obelisk in the future. We held a public exhibition of our proposed development, made several presentations to the Needham Maltings Town Council, and arranged one-to-one meetings with neighbouring residents and business owners. Members of the town and district councils and our design team did a ‘design review walkover’ of the town centre and together we identified attractive design details that could be included in our designs for the new homes. We also held an exhibition to explain the archaeological work that we carried out on site. After speaking with local shopkeepers, we redesigned the layout and moved the car park to the edge of the high street, making it easy to find and closer to the shops. The town council asked us to provide an area of public open space for them to adopt as a town square and we have added this into our design for the development. As a result of our community engagement the town council spoke in favour of our planning application at the planning committee. While the build was underway, we continued to engage with the town council and local people. We regularly presented updates on the build programme to the town council and we sent out leaflets to local shopkeepers and residents to tell them about upcoming work. 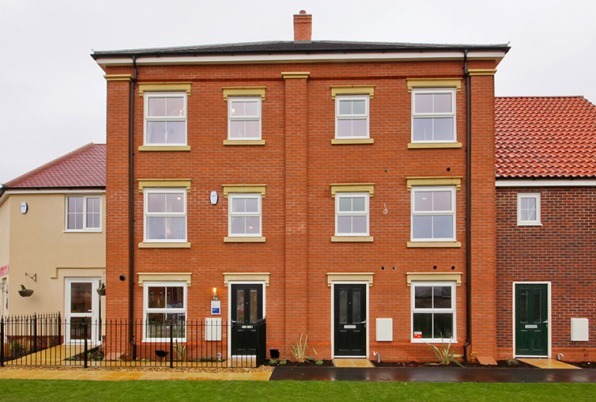 We also held a special event to mark the opening of the show homes. The town and district councillors have been pleased with how we have involved the community during the planning and build stages of the development.